Successfully Added Single Din Car DVD Player - 4.2 Inch TFT LCD Display + Bluetooth to your Shopping Cart. Chinese developed and manufactured Single Din Car DVD Player with a 4.2 Inch TFT LCD Screen which will display movies in either 4:3 Letter Box or in 16:9 widescreen aspect ratios, and is Bluetooth Enabled for pairing with your Bluetooth Mobile Phones. 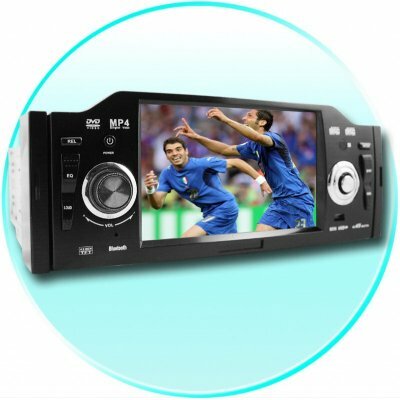 It also comes with a USB Port and SD Card Slot, high 50Wx4 output, and Touch Screen function to name just a few of this 1 Din Car DVD Players features. This Car entertainment item is available at the low wholesale price that Chinavasion is able to offer for even a single purchase, and by logging in you can purchase in bulk for an even larger discount price..